One man's quest for the justice of his wronged mother brings war to a land made soft by a forced but enduring peace. 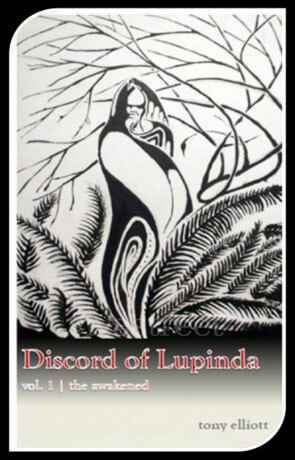 As the conflict spreads a few survivors flee into an alien world of currency, corruption, commerce and cruelty while behind them a long buried darkness returns, something that the world of Lupinda has no defence against. I wasn't expecting to like this book as much as I did, to be honest the title doesn't do it justice at all and to me sounds a bit weak, inside though we find a rich world with diverse characters and an intelligent plot. The quality of the writing is high, although there were a few rough patches and it would have benefited from a little more editing, at times it felt a little simplistic. On the surface the book follows a fairly typical classic fantasy style replete with medieval setting, unusual place names and a history of magic. This is then filled with well rounded characters who are thrown around in the twisting storyline which manages to keep a fast pace and a great degree of interest. The real magic though is in the excellent world building, described mostly through exposition, the author manages to create a rich and persistent world that is vivid and feels quite special. In style it's one of those low fantasy novels, much like Robin Hobb where there are very few actual fantastic elements, a style that of course always feels more gritty and down to earth. The aren't any times when too much information is given away and as a result the pace doesn't suffer as it could have done. The characters are also very well drawn, again without too much time spent providing back history they are never-the-less easy to bond with and relate to. The author doesn't coddle his characters either, quite prepared to sacrifice any for the needs of the plot, which makes a refreshing change. My favorite has to be Roc, a young and yet enigmatic hero from simple origins type that manages to be both naive and intelligent in equal measures. Discord of Lupinda: The Awakened is a promising start to what could turn into a rewarding series. Written on 16th November 2011 by Ant.